Outsmarting smartphones: How can we keep children safe while accessing the Internet via mobile? Phone ownership is a new milestone that is met with excitement by children but – quite often - with trepidation by parents. The average age that UK children get their own phone is just 10 years old. However, a recent report even found that 25 per cent of children under six already own their own mobile, with screen time doubling in the past 17 years to more than three hours per day. The widespread use of smartphones means that the Internet is more readily accessible to young people than ever before. This is undoubtedly changing how children learn, discover new music and films, contact their friends and explore the world. However, it has also made it challenging to supervise what young people access - and who they communicate with - online. Real-world parental protection, such as ensuring children do not watch inappropriate programmes on television or holding hands while crossing the street, is relatively simple to monitor and undertake. Conversely, protecting our children in the digital space has become extremely complex. From purchasing age-restricted goods, such as knives and alcohol, to viewing unsuitable material such as adult, violent or distressing videos via social media sites, it’s all-too-easy for minors to access inappropriate content or services online. Online safety must therefore feature high on the priority list when it comes to keeping children safe. We can’t turn the clock back on technology, so how can worried parents maintain supervisory control over their children’s online activities? And how can businesses ensure that their websites provide suitable age-verification measures, while remaining user-friendly? Let’s explore some key ways. The current debate on digital child safety centres around the maintenance of parental control, without removing or jeopardising independence. There is a strong argument for giving children the information they need to be safe, whilst helping them to understand the importance of creating boundaries for themselves. Of course, it’s vital that parents first make themselves familiar with potential online threats before teaching their children about where dangers may lie. There are a number of online resources that can help with this. The NSPCC, for example, runs free online training courses and a helpline to advise parents on how to keep their children safe and monitor what they are accessing online. Additionally, there is lots of helpful advice on offer from public service websites such as GetSafeOnline. Tackling the dangers of technology with tech-based solutions tends to achieve better results. A range of apps and software can help to support parents in this respect. The major digital platforms such as Google and Apple are now beginning to offer free parental controls. 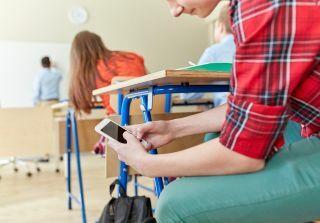 Screen Time, for example, was unveiled in September 2018 to provide parents with tracking on all the apps that children use across all iOS devices. Parents can receive detailed activity reports on each app and time restrictions can be set to curb time spent on them. Apple also provides web filtering, age restriction and app blocking capability. Google Digital Wellbeing was also introduced with the launch of Android P in August 2018. It includes a pie chart showing parents how a phone is used, an app timer to limit the time spent on them and a ‘wind down’ feature which works by shifting the phone screen to greyscale at a specified time. This is in addition to Family Link which helps parents control their children’s use of Android. There are also numerous paid-for solutions which offer similar features for parents. It’s advisable to check review sites for each of these apps, as they will offer a range of capabilities, prices and ease of use. However, creating a safer online environment for young people is not solely the remit of parents. Responsibility also lies with website owners and online vendors. Furthermore, the Digital Economy Act, which is due to come into effect from April 2019, will strictly regulate access to adult-only content online. This legislation will result in website visitors having to prove their age before they can access adult websites, meaning that site owners will be legally required to install age-verification controls by the time the law is implemented. Online merchants of age-restricted goods, such as knives or alcohol, must also ensure they deploy online checks to stay on the right side of the law. Of course, it’s also important to consider those customers who are of legal age to buy or access such goods and service. Businesses don’t want to deter legitimate customers or users by having lengthy, complicated age verification tools on their sites. The age-checking tools deployed must be integrated seamlessly into the overall website journey; finding a balance between reducing the risk posed to children yet not causing unnecessary friction to the customer journey. Age verification tools, such as AgeChecked, work by allowing customers to verify their age securely via a unique username and password. In order to verify themselves, users can choose from a range of methods, utilising a mobile app, credit card or driving licence, for example. Once the set-up and initial age check is complete, the user will be provided with an age-verified account. Each time the user logs on to the website or app in question, they will not have to re-verify themselves in order to access it. Instead, they simply sign in as normal and they will be granted instant access. This way, compliant age checks can be carried out without disrupting the user’s journey. Most importantly, AgeChecked never stores personal information on its users. When a user tries to access an age-restricted website or service, the site or app will only receive a simple ‘pass’ or ‘fail’ alert - nothing more. Users that do not meet the age requirements will be denied entry. The UK is currently leading the way by introducing robust legislation across a number of industries to prevent and manage underage access to inappropriate content. However, we must always strive to do more if we are to keep our kids safe online in this rapidly-evolving technological landscape.